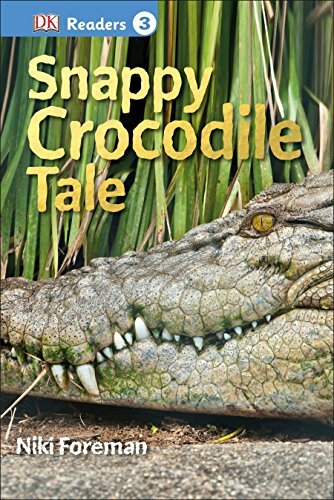 For kids who like learning about crocodiles, or who are interested in Australia and Australian wildlife, comes Snappy Crocodile Tale, a DK Reader designed to improve reading skills while keeping kids engaged and entertained. In Snappy Crocodile Tale, we follow the adventures of Chris Croc all the way from birth through his time as king of the river! Chris Croc lives at Kakadu National Park in Australia, and through his journey we meet more Australian wildlife through the crocodile's encounters with them and find out about these fascinating but deadly creatures.